and students were asked not to bring any thing to school. because we won't be having any class. 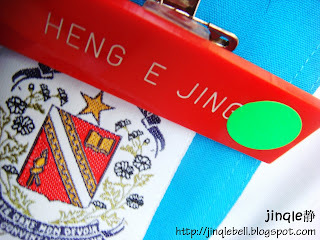 students wear given this coloured sticker. 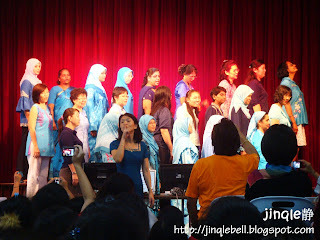 and were divided into two different groups. Green group is more likely to be Chinese group while ALL of the indians from our class were in the Red group. 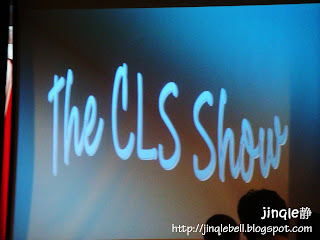 Representative from each group(the perfects) went and thought us the slogan for the day. 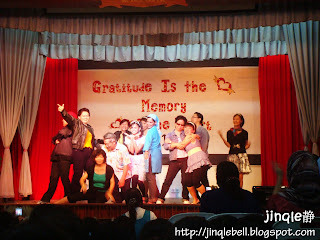 Red team got like 2 slogan and one of them is the Lady Gaga's Bad Romance song. 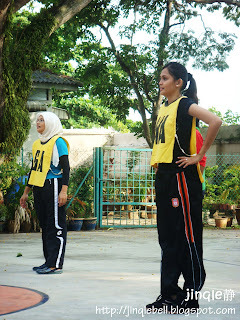 different class were brought to different place to watch different competition after that. 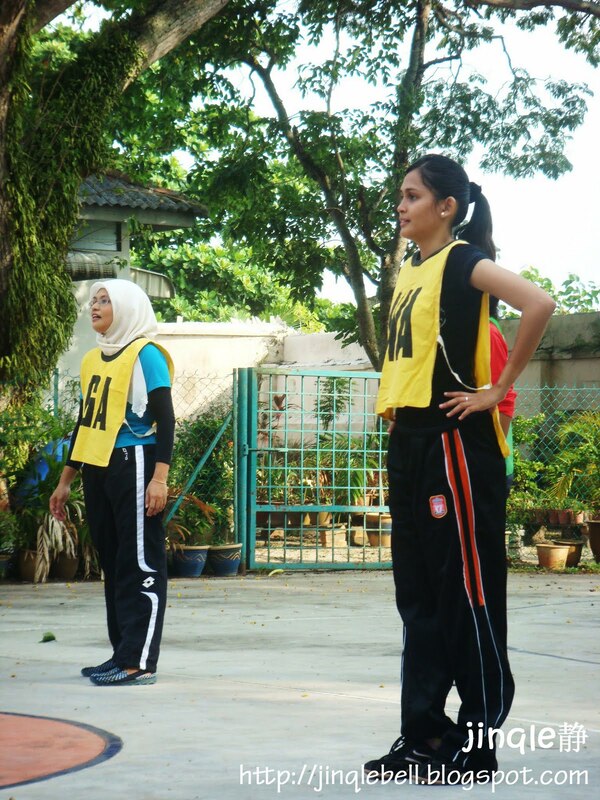 and it's basketball for our class ! 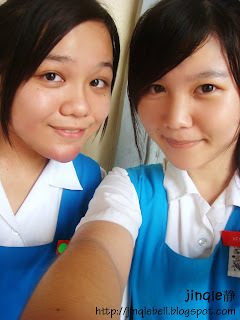 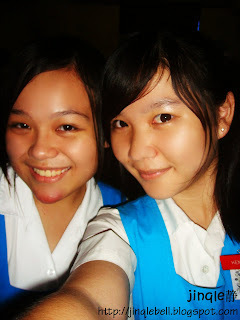 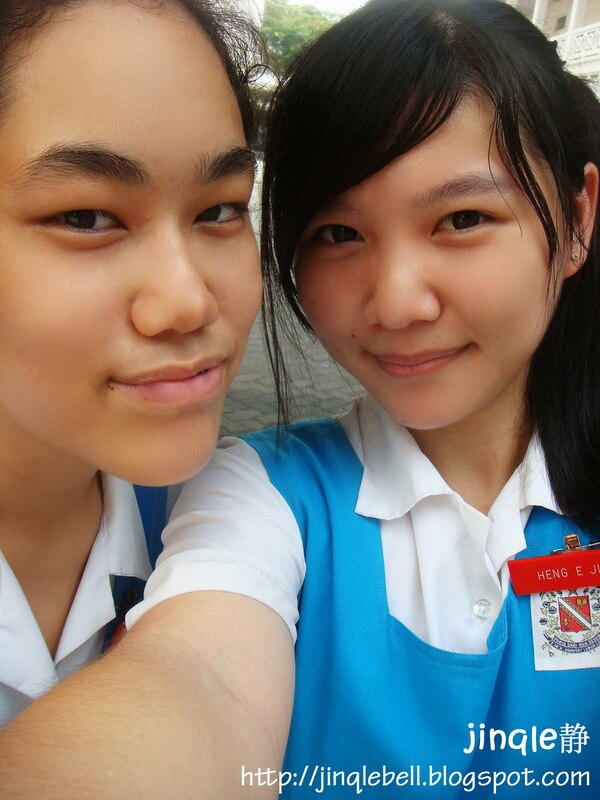 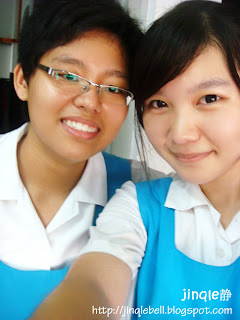 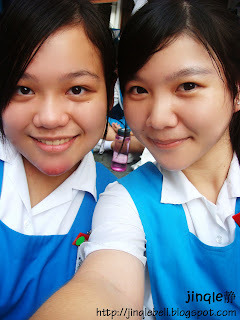 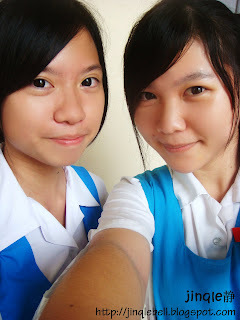 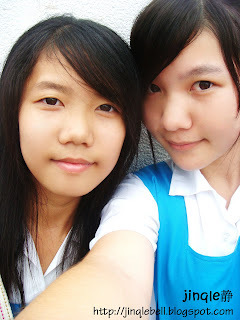 Yi Xin and me started to cam whoring at the basketball court. there's some others competitions like ping pong and badminton. 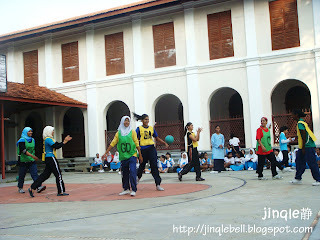 It's recess after the competition. 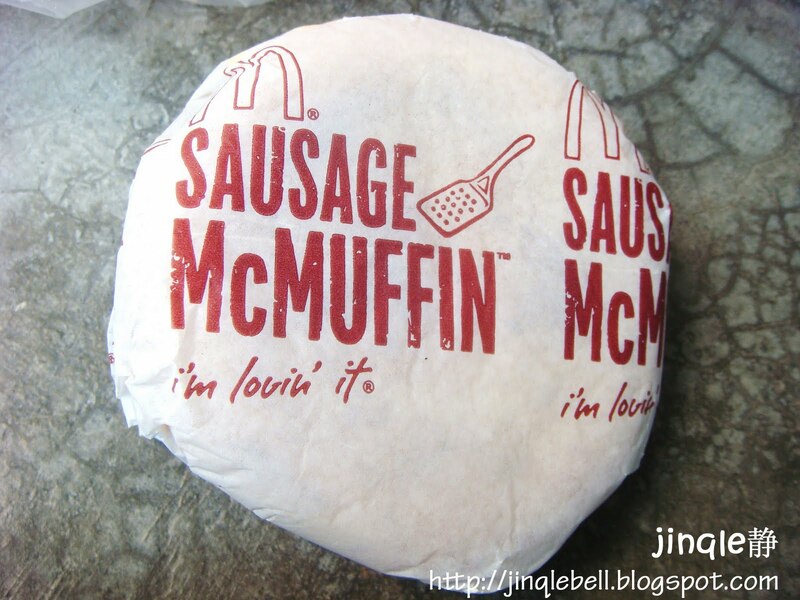 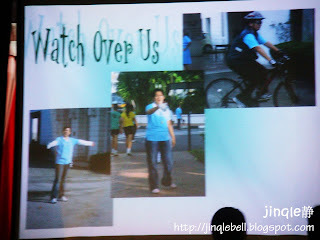 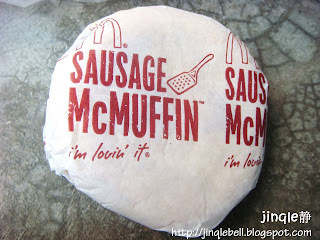 and Seok Heng helped us to get some McD on her way to school this morning. 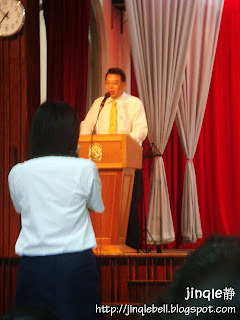 Talk by the Pengerusi PIBG. 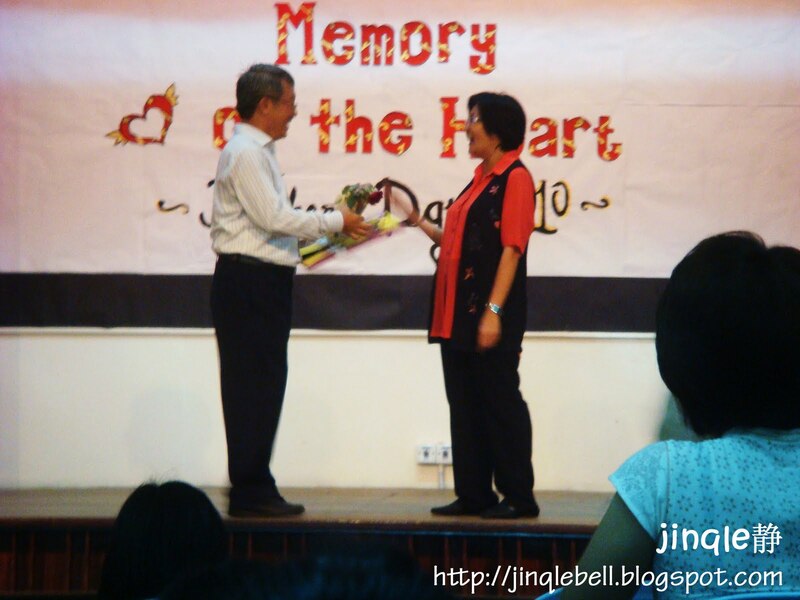 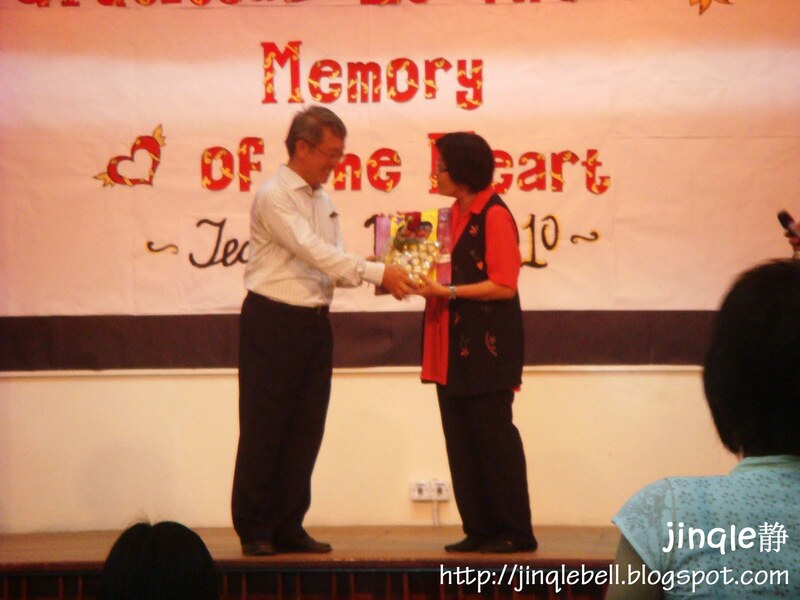 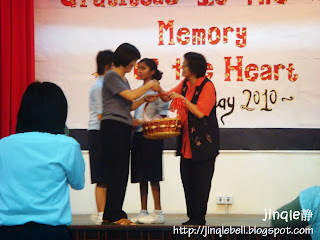 That's Pn woo giving a fruits basket for the principal. spotted ferrero rocher and the card we were forced to do for her? 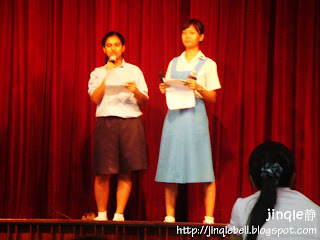 it's another pair of emcee here. 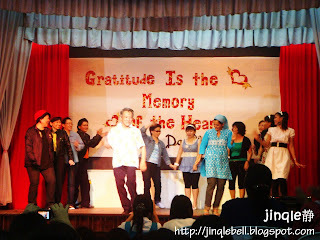 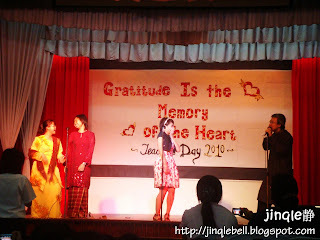 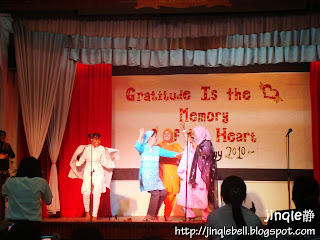 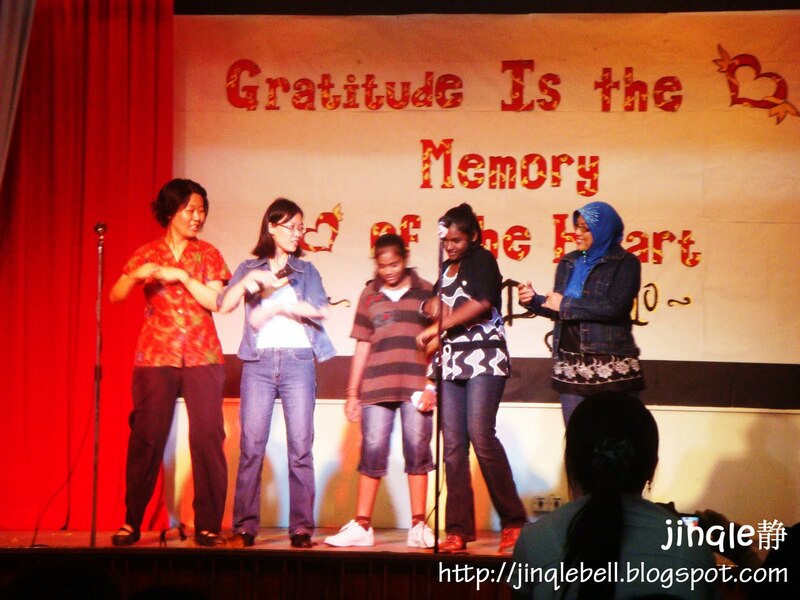 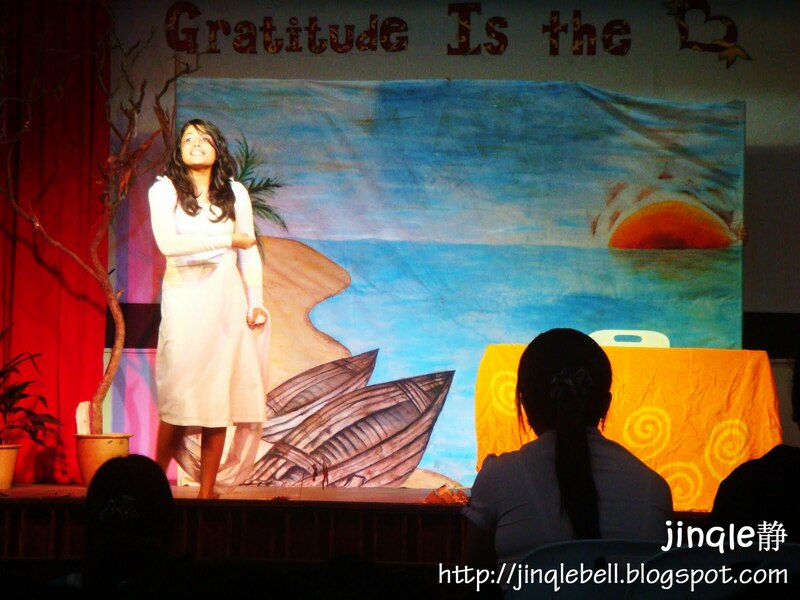 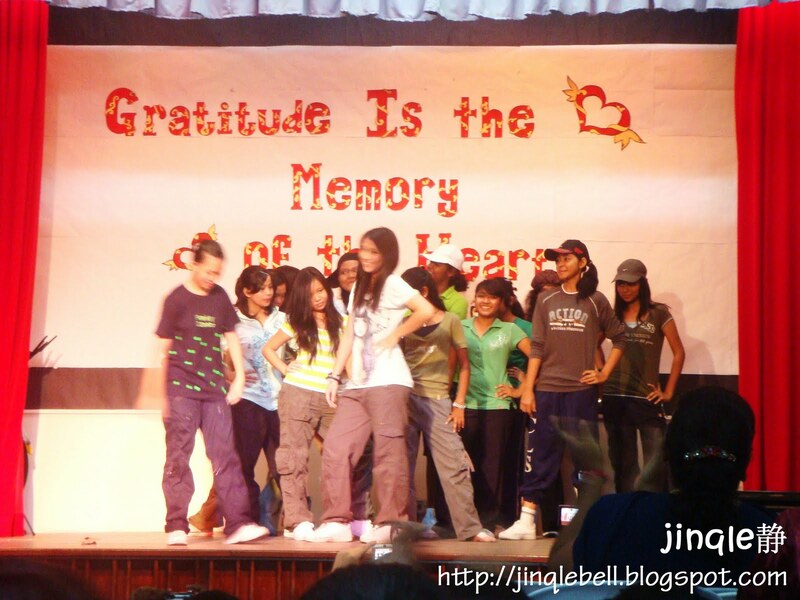 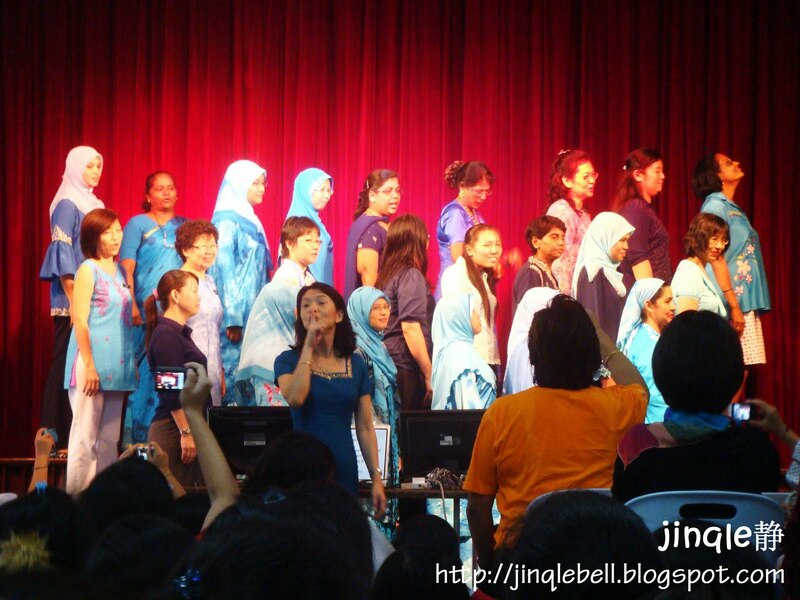 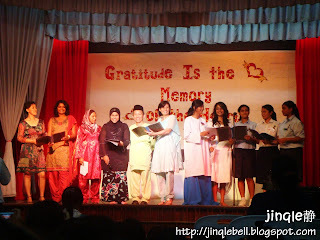 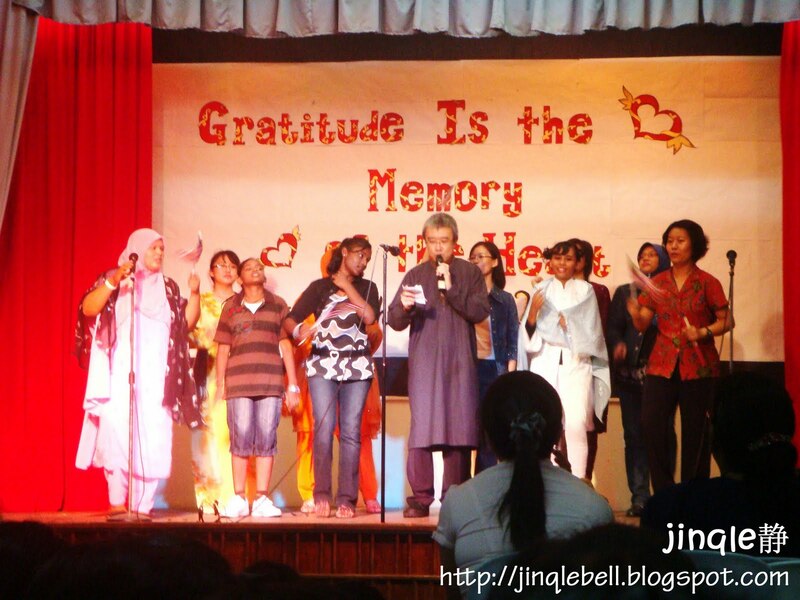 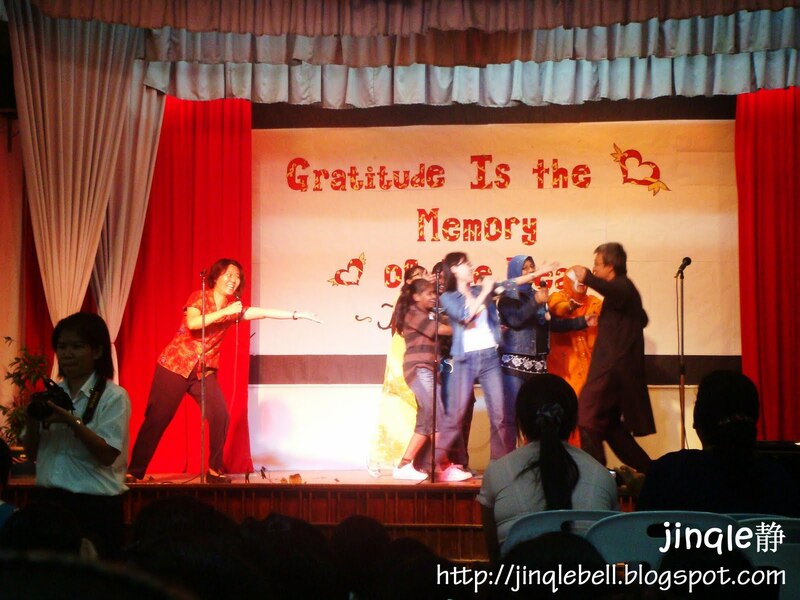 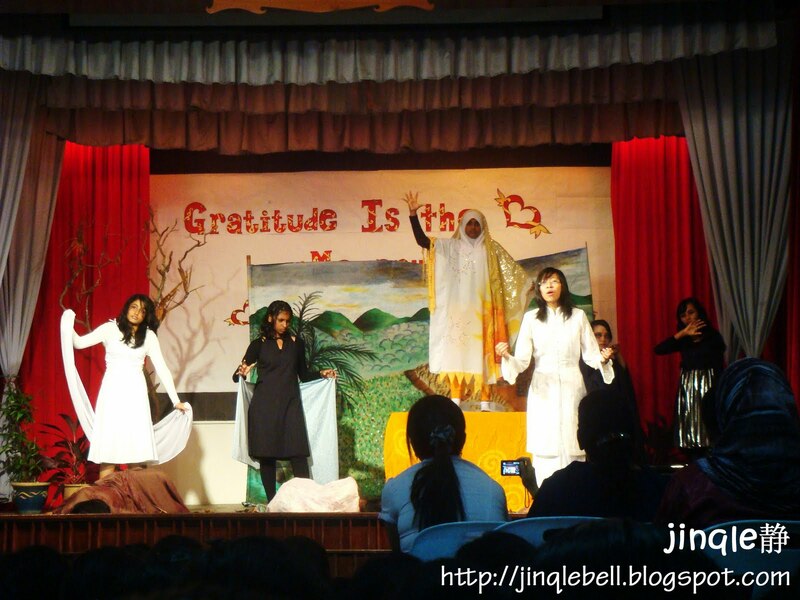 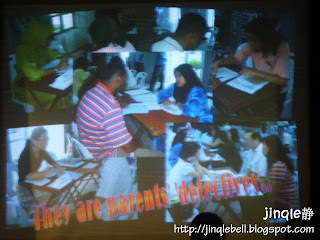 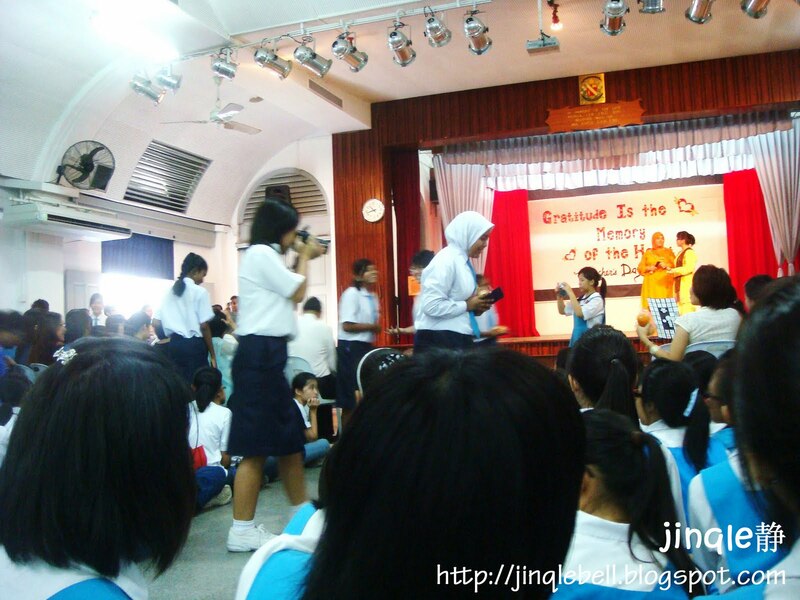 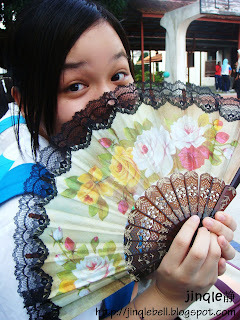 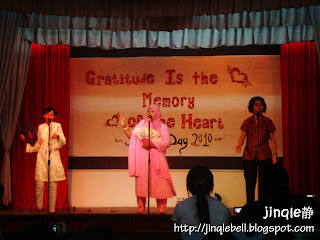 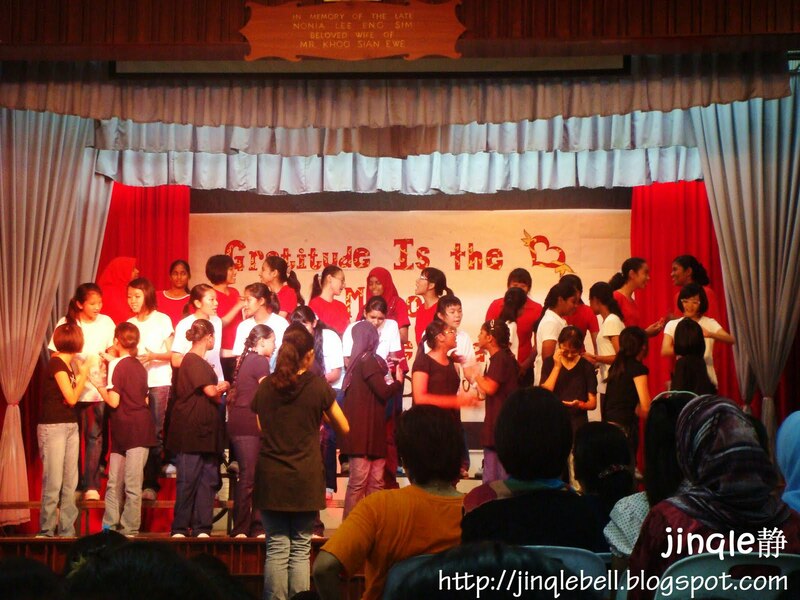 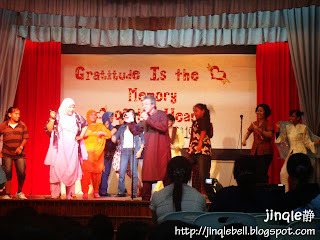 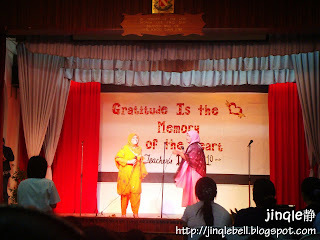 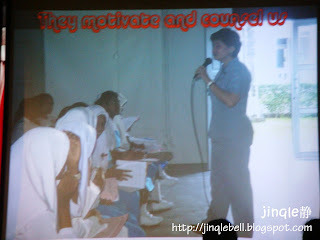 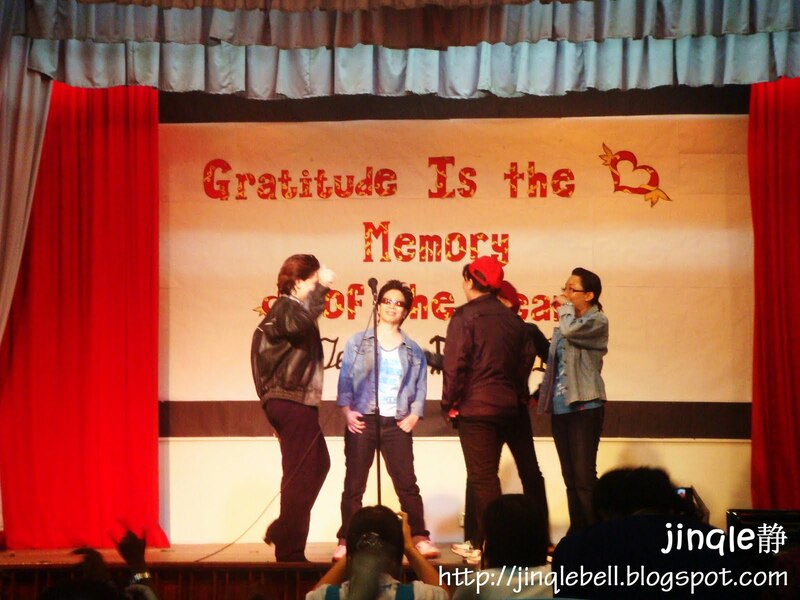 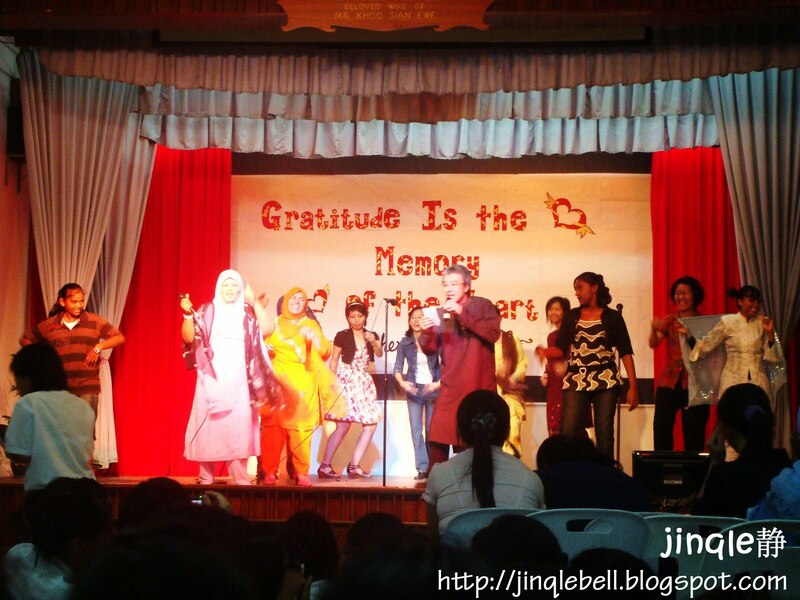 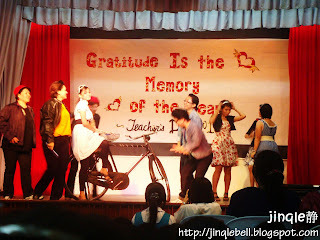 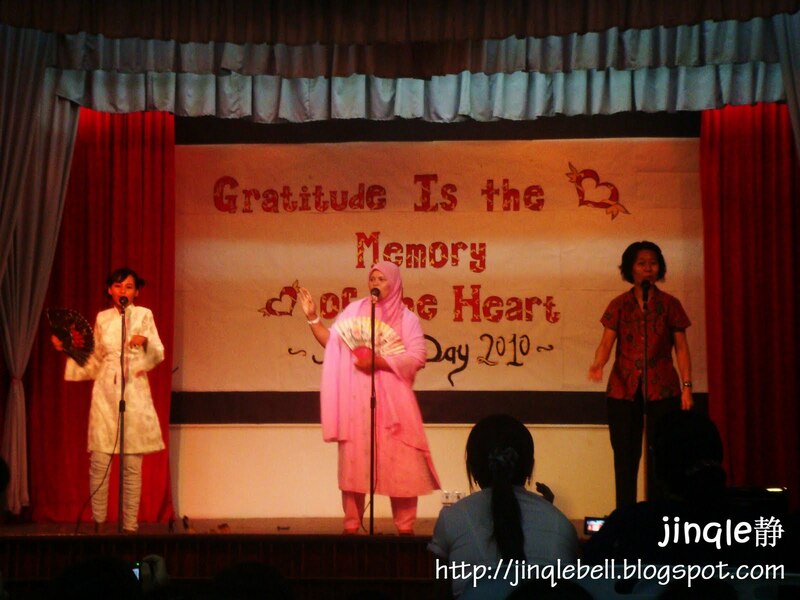 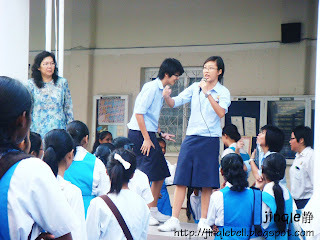 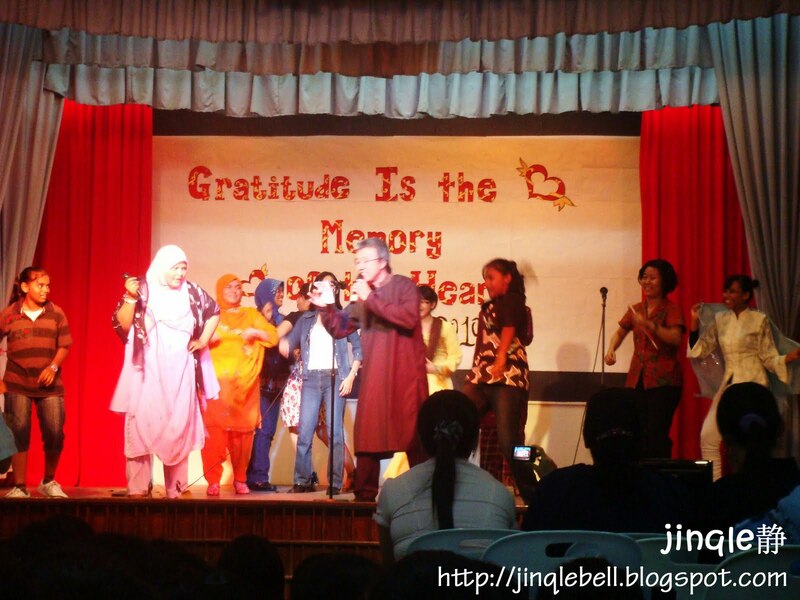 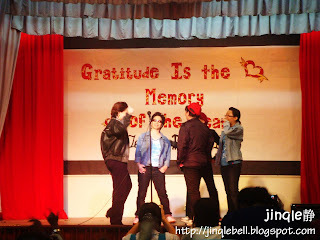 Malay teachers singing Chinese song,Chinese teacher singing malay song. Heppy Holidays Students and Teachers! 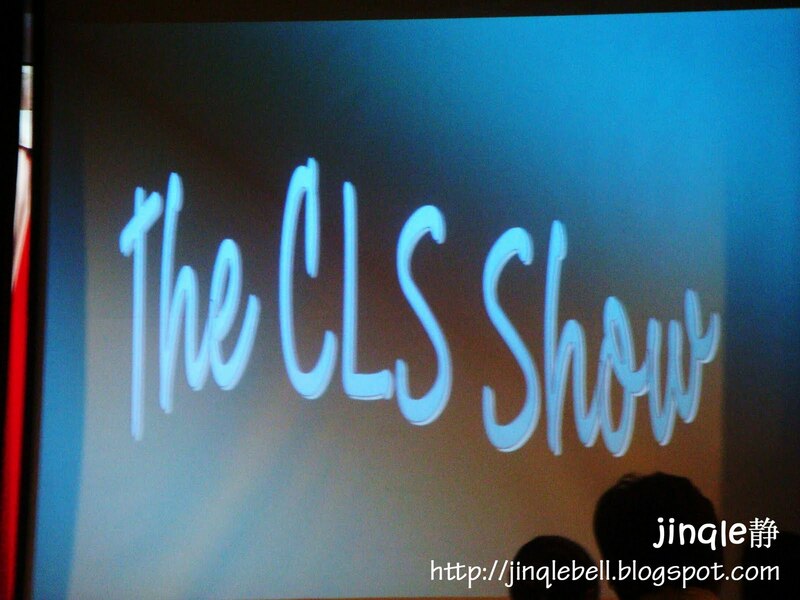 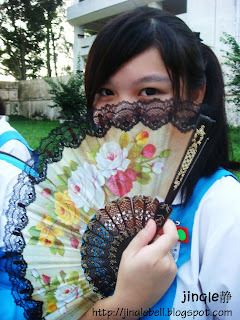 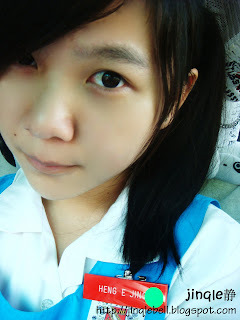 it's like 1 year + i studied in CLS. 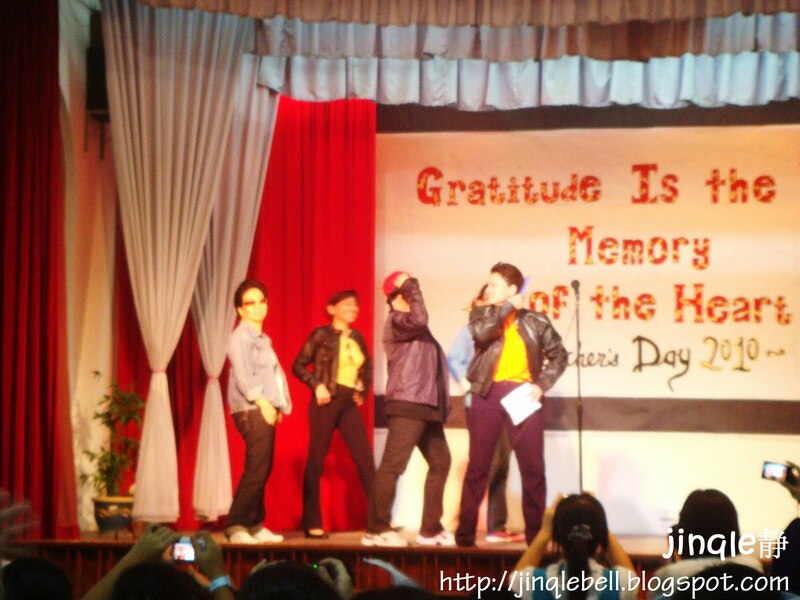 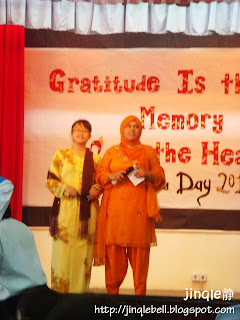 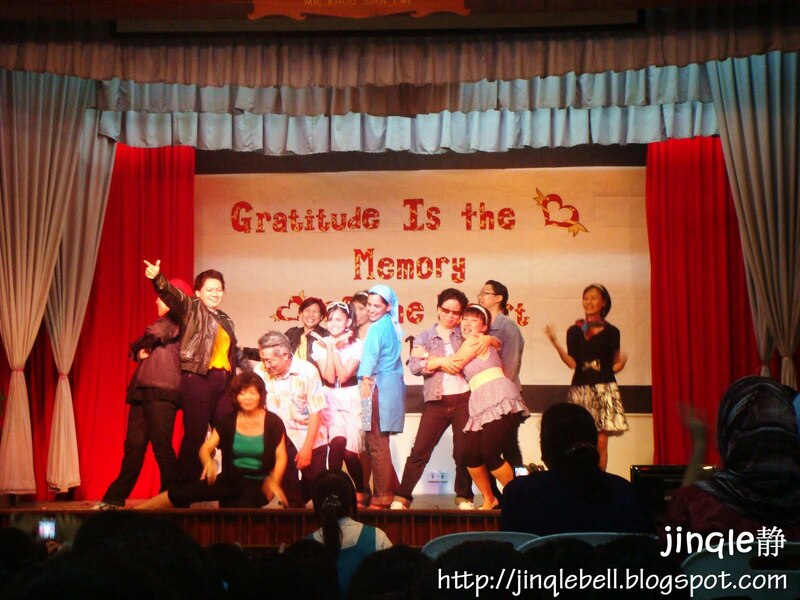 and they had the greatest & craziest Teacher's day. i did had some great time study there. 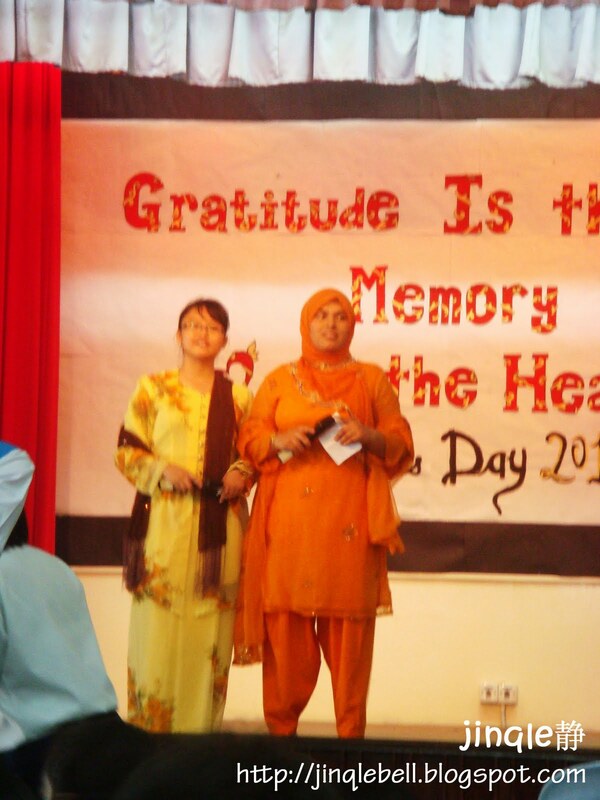 everyone should appreciate what they having now. 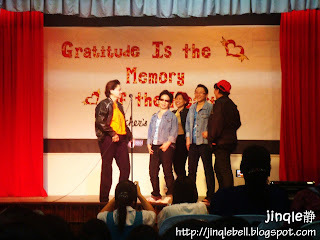 spent hours writing this blog.